Has ObamaCare Slowed ER Visits? Surprisingly, no. Most hospitals report that ER visits are on the rise. Three quarters of ER doctors report that since ObamaCare has been in effect the ER is seeing more patients than ever before. This is contrary to the goal of ObamaCare. What happened? There are a lot of different answers. 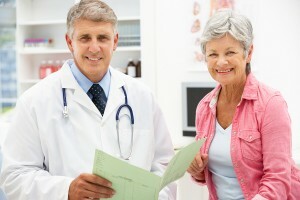 People have insurance but there are not enough primary care doctors to see them. ObamaCare expanded Medicaid and many primary care doctors won’t accept Medicaid due to its low reimbursement. All of these factors make the ER often the best or only option. Should you use the ER for your healthcare? Not if you can avoid it. Call your insurance company and ask for a recommendation to a primary care physician. If you have a Medicaid HMO, a primary care physician will be assigned to you. Schedule your first appointment when you are not sick. It is important to establish a relationship with your doctor BEFORE you are so sick that you get referred to the ER. Pick a doctor who has late night or weekend hours if you can’t miss work during the week. Many physicians are now offering more convenient appointment times. Be proactive and take responsibility for your healthcare. It’s the only way to stay healthy and avoid expensive ER visits. Have you ever gone to the ER and wished later that you had not? I’d love to hear from you!